The deets: Francesca's dress; vintage necklace; South Moon Under bag (old); Enzo Angiolini shoes; Elizabeth and James sunnies. Photos c/o Lindsay. 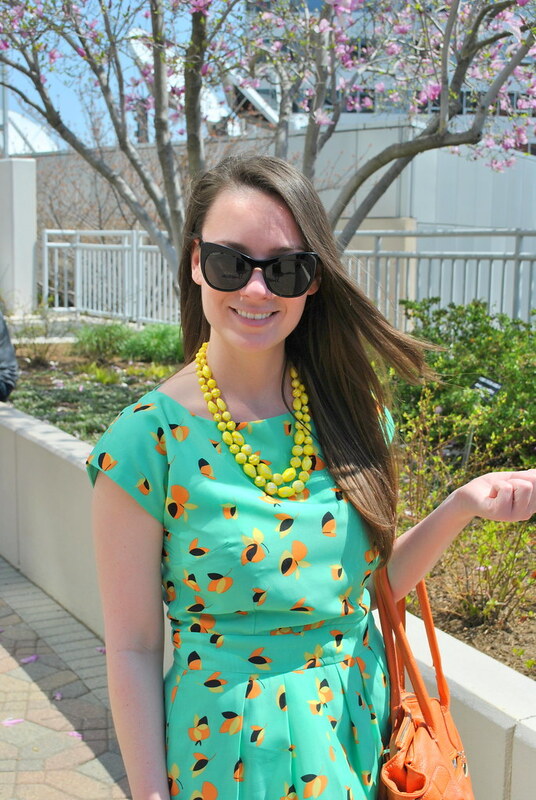 Wearing bold prints to the office is not uncommon for me, especially when the weather is as gorgeous as it has been. We've been able to lunch like ladies outside in the park this week which makes my soul feel renewed and the workday pass at a much faster rate due to the thoroughly enjoyable break. I feel a little like a 50's housewife in this look with the cat eyes, vintage necklace, and a-line dress, but I always said if I could choose a different decade to live in, it would be that one, so I love it! Happy weekend. That is such a cute dress!!!! I love it! 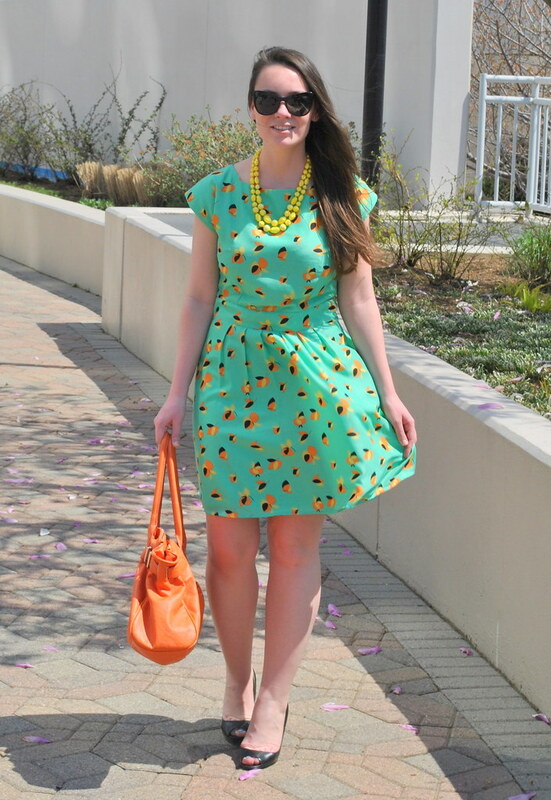 Super cute dress- it's definitely versitile enough to wear at the office or on the weekend! I love charming prints like this, and the color is killer on you! Francesca's is one of my favorite stores, but I can only go when I'm home at my parent's house. There's not one near me now! This dress is adorable! I love dresses that remind me of housewives- it's totally a good thing! Love the dress! I love to dress like a 50's house wife...haha. Love the colors! Perfect for spring! That dress is Adorable. Capital A. What a fun print! Mint is gorgeous on you pretty lady!